I totally agree with you. He will always be around. May he rest in peace. 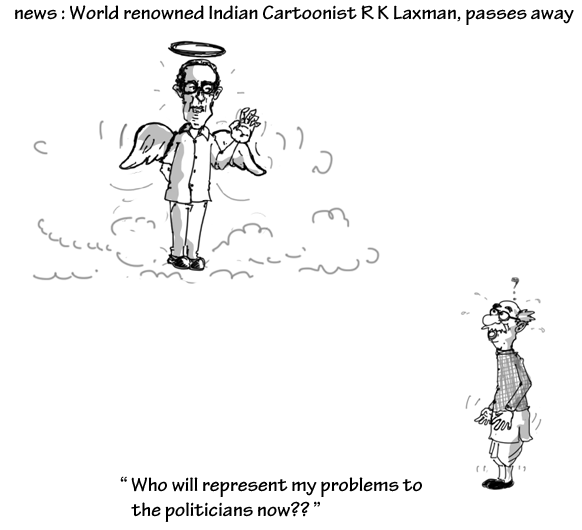 Indeed it is a sad Moment…Common Man is no more,His Cartoon speak on behalf of us..
true that man !! He spoke what we had in minds. The picture reflects feelings of many out there. It’s been ages I read you.